Its called fast food for a reason! 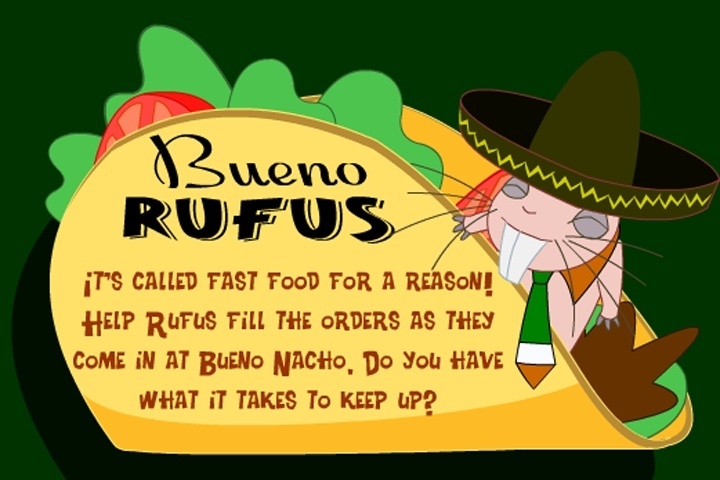 Help Rufus fille the orders as they come in at Bueno Nacho. Do you have what it takes to keep up? Help Rufus fill the orders!!! Fill the fast food orders correctly by putting the appropriate toppings on the food. If you want to play Kim Possible Bueno Rufus games online you have come to the right place! GamesLoon adds new Kim Possible Bueno Rufus games every week. This is your game portal where you can find the biggest collection of free Kim Possible Bueno Rufus games online. Do not forget to rate our Kim Possible Bueno Rufus free online games while playing!